The JumpMaster knife from Spyderco was designed to fit the needs of the U.S. Army’s 82nd Airborne Division. When jumping out of a plane, airborne servicemen are attached to a static line, jumping one per second with a Jumpmaster insuring they get out and are clear of the plane and the next jumper. If someone doesn’t clear because of equipment failure or just poor luck, the Jumpmaster is ready with a reliable cutting tool. Once clear of the aircraft, jumpers still need a reliable and quick-cutting blade in case they need to cut themselves free. 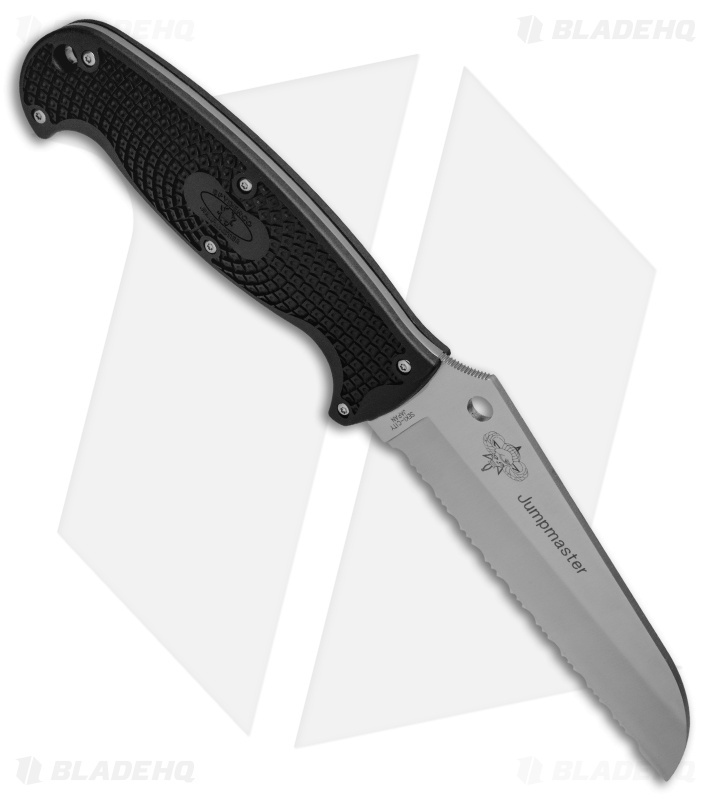 The JumpMaster has the 82nd Airborne Division's wish list in mind with a rust-proof hollow-ground H-1 Sheepfoot Rescue blade with a fully serrated edge. The handle is fiberglass reinforced nylon (FRN) with a Bi-Directionally Textured surface for a secure grip and a skeletonized tang to reduce the overall weight. The knife comes with an injection molded polymer sheath that’s curved to carry against the body or calf without flaring or hard spots. 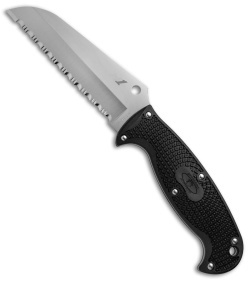 A lanyard hole in both the blade and handle offer additional back-up attachment. If I were an Army Paratrooper. . . I purchased this particular blade when it first came out because I liked the design. 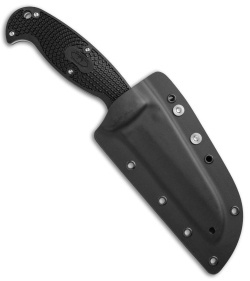 When I received it, I liked the feel and how it was very lightweight/ease of carry. It is no wonder our Brave and Fearless US Army Airborne Troops would want a blade like this. Now, I'm not an Airborne Trooper and really have no interest in jumping out of a perfectly good working airplane,. but since this model is out of stock and not made any longer, it's nice to know that I own one in my small collection of cutlery.